So this is the third in my series of articles on how to follow up after business networking events. I’ve written these because I get asked about this subject SO much, and I really hope these help. Today we’re going to talk about what I describe as passive follow up. And, if you’ve read them, you’ll know that yesterday we talked about the absolute, vital, crucial importance of following up, promptly, with those people who have actively expressed an interested in your product or service. Passive follow up, in my language, is what we do with everyone else, all of the people who we meet who don’t need our products or services yet, but may well do so at some point in the future. Or rather what we should do, because I know what most people do is leave it to chance, just hope that when someone finally realised they need what we sell, that they will somehow remember us, in amongst all of the other people they have met, who do similar things. If people did that. If people remembered every supplier, even for the most obvious purchases, why would big name retailers keep spending so much money reminding us that they exist? When, for example, will the DFS sale end? How many (thousand) times, over the years, have you seen that advert? DFS know that they have to keep reminding you that they exist because there is one, very important thing, that they don’t know about you. You don’t know when someone will realise they need your product or service. So you have a choice. Leave it to chance that they will remember you. Or put effort into making sure you stay visible to them. 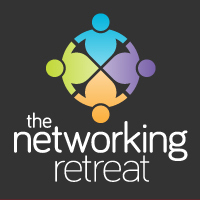 Regular attendance at networking events – physically being there is SO powerful. Social media – the perfect platform for keeping in touch at scale, and being able to spot when you should take the relationship one to one. Email marketing – nope, it isn’t dead. Far from it. Content Marketing – like what I’m doing here innit. Providing value. THE TELEPHONE – in 2016 it is still legal to actually pick up the ‘phone and talk to people. And it is massively underrated. Keeping your face and your business in front of people doesn’t take a massive advertising spend, like DFS have to do. It doesn’t take constantly broadcasting to people, like DFS do because that’s how TV advertising works. But it does take putting the honest effort to keep in touch because you care about your crowd. That way, by keeping in touch at scale, and by taking the time to go one to one with as many of the relationships as possible, and by being the first to provide value in as many of the relationships as possible. Then you will manage to be there, in the right place at the right time, when somebody realises they need your service. If you want to build your own strategy for following up, with my advice, then ask me how you can work with me one to one. It’s what I enjoy doing, it’s what I’m good at, and my clients tell me it works for them, massively.